The next meeting of the Shantel Davis committee for Justice and Beyond will be at 6:30PM sharp on Monday April, 15th at Cupcake It Up, 3910 Church Ave between East 39th Street and East 40th Street. That’s this coming Monday. All are welcome. 1.On April 17th at 7pm, Natasha Davis and others will be speaking at a speak out about police murders. It will be held at 110 Schermerhorn St, on the 2nd Floor (at Boerum). All of welcome. 2.On April 27, some members of the Shantel Davis committee for Justice and Beyond will taking part in the Progressive Labor Party May Day March. The march will start at 11PM on the corner of Parkside and Ocean Ave in Brooklyn. Please Join us as we fly the Shantel Davis committee for Justice and Beyond Banner in the name of Justice and FIGHTING BACK. All are welcome. The Shantel Davis Committee for Justice and Beyond needs your fighting spirit once again in the streets of east Flatbush and in our next meeting THIS MONDAY, March 18 at 7pm at Cupcake it Up (3910 Church Ave between East 39th and East 40th Streets). This weekend police killed 16 year old young black man named Kamani “Kiki” Gray in east Flatbush. Police have already smeared Kiki’s name in the media by saying he pointed a gun at police despite witnesses who say Kiki was walking away from police and begged for police not to kill him. Everyone one of you know that the police told many similar lies about Shantel. We are committed to building a movement in Flatbush and the city that fight for justice for Shantel and Kiki but also beyond to a world free of racist terror. Shantel Davis’s family and committee members knew Kiki, teach Kiki’s friends and work with his family. Kimani was named after his older cousin who attended the Shantel Davis BBQ back in August. Kiki’s fight is our fight. Stand with us as we support the Gray family and strive to be a focal point for positive change. 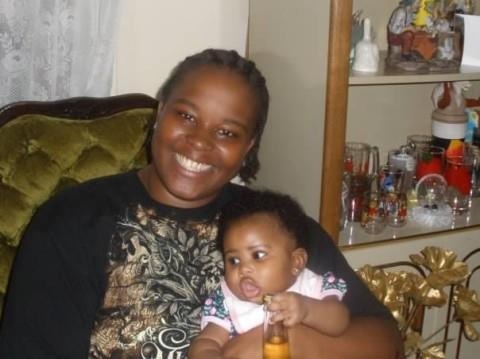 December 14th will be the six month anniversary of Shantel Davis’ murder by NYPD Detective Philip Atkins. We are asking everyone to come out in honor of Shantel Davis’ life. She will not die in vain. Meet Friday, December 16th, at 6:30PM on the corner of East 38th and Church Avenue in Flatbush, Brooklyn. Justice delayed is justice denied! Join us in relief work! The committee is holding a Shantel Toy Drive for Sandy Relief. Large bins at various locations will be accepting new and gently used toys from now until Dec. 20. There will be more info on bin locations soon. Email justice4shantel@googlegroups.com if you would like to take up a collection.